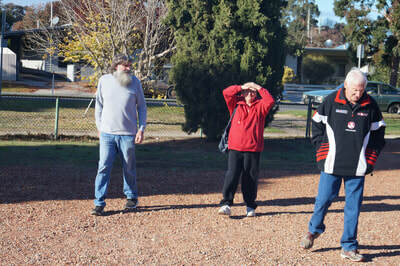 Saturday dawned cloudy and a little cold. 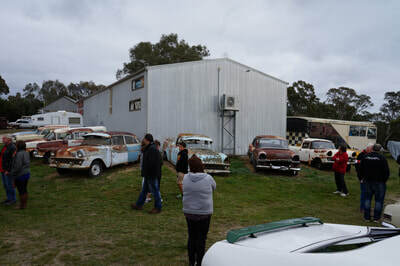 There'd been some rain overnight, but it was mostly dry as we rolled up to the Clubhouse. 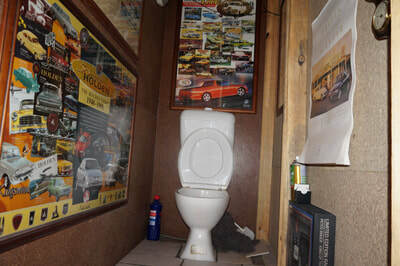 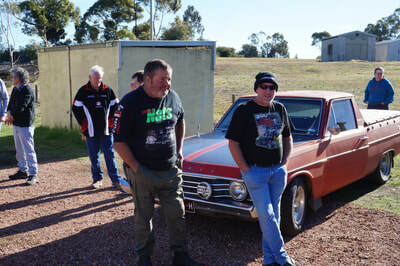 Surprisingly the Prez was already there - although in the 4WD and not the Broughy. 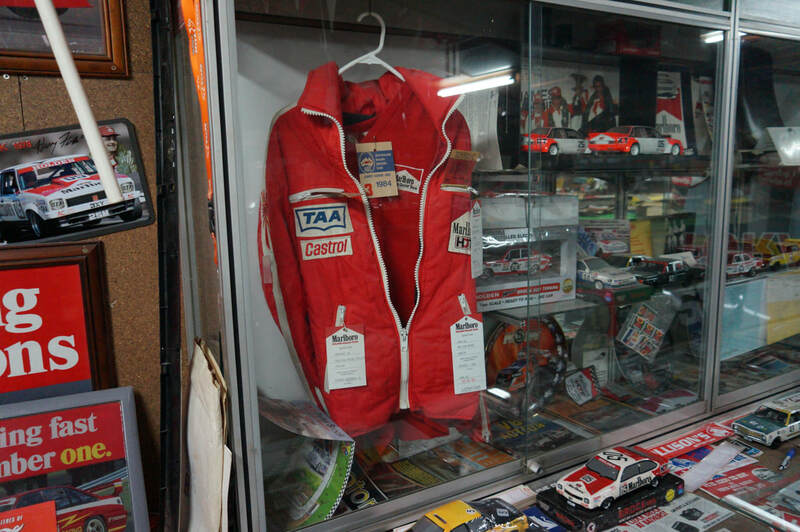 And in his work overalls. 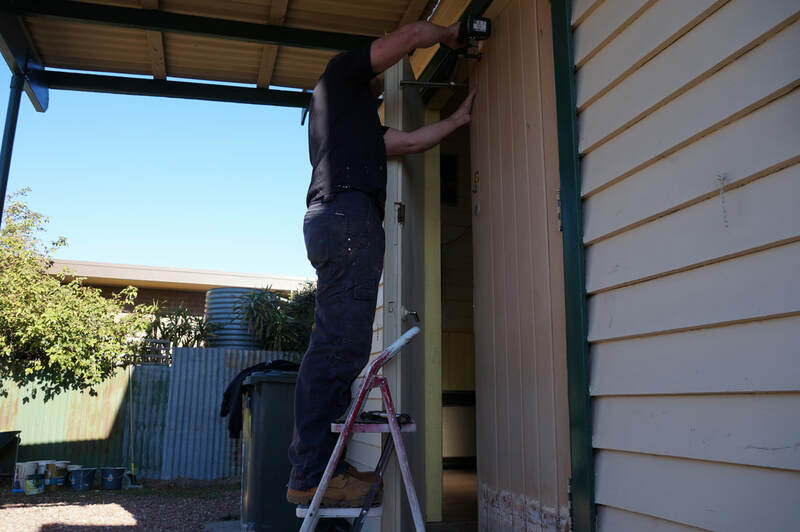 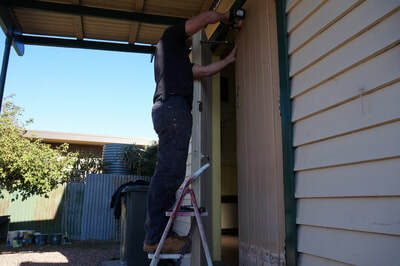 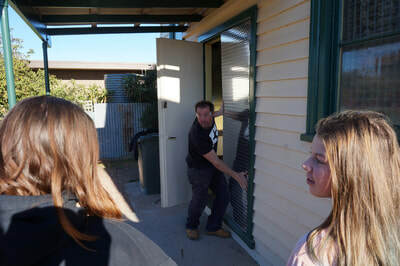 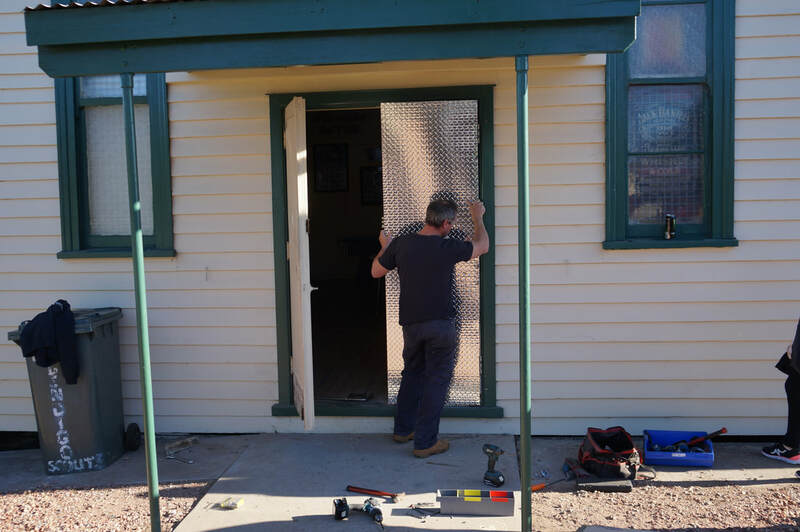 Kim was fitting the aluminium chequer plate to the front doors of the Clubhouse for that finishing touch. Lookin' good mate, sorry you can't make it on the run today. 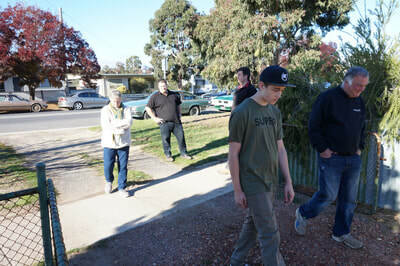 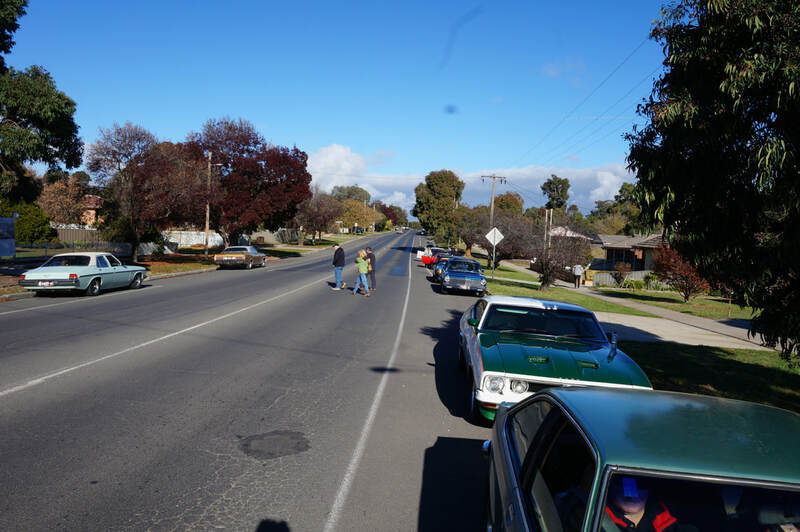 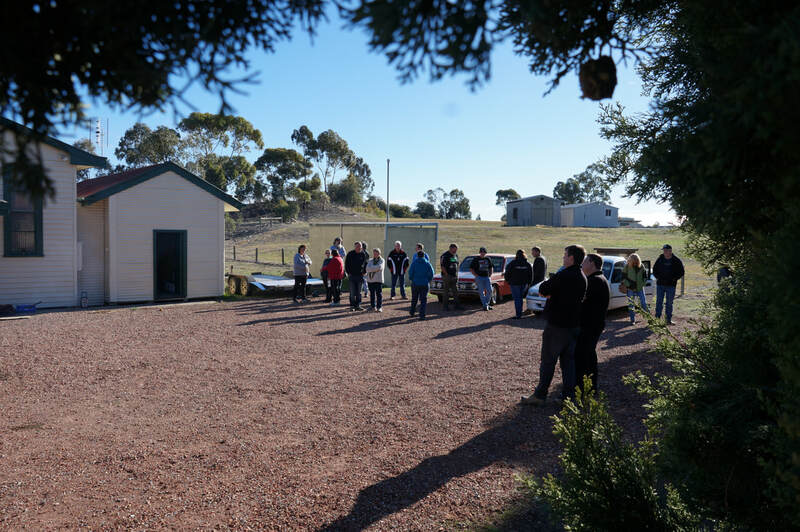 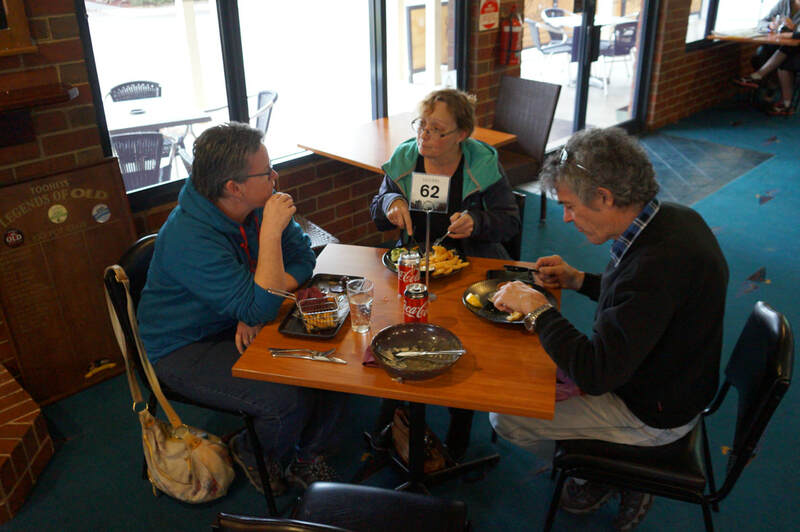 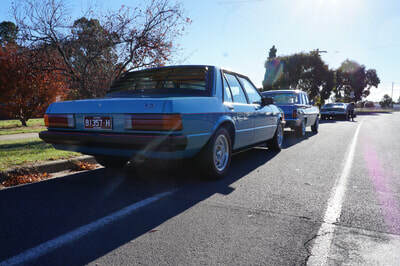 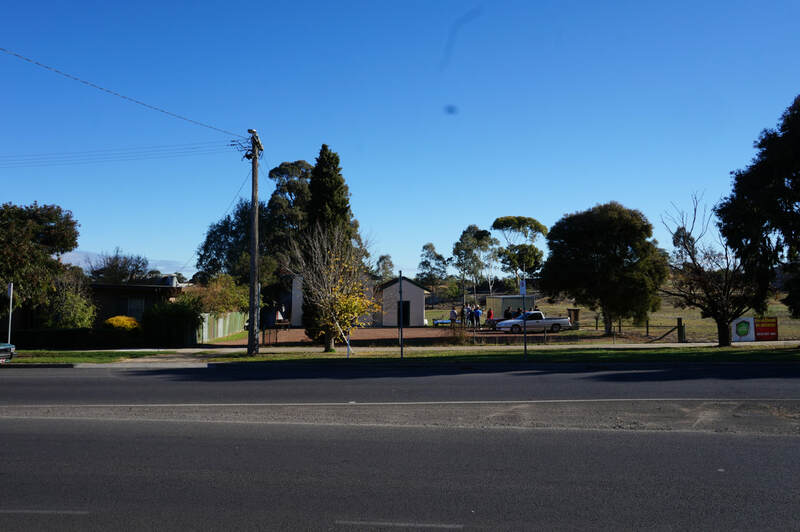 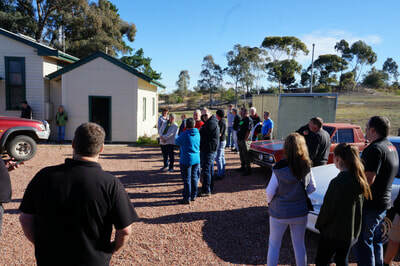 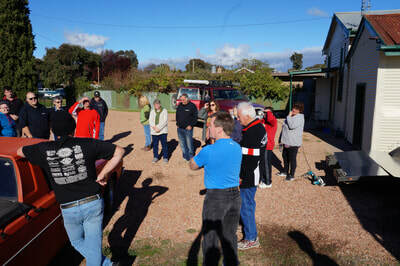 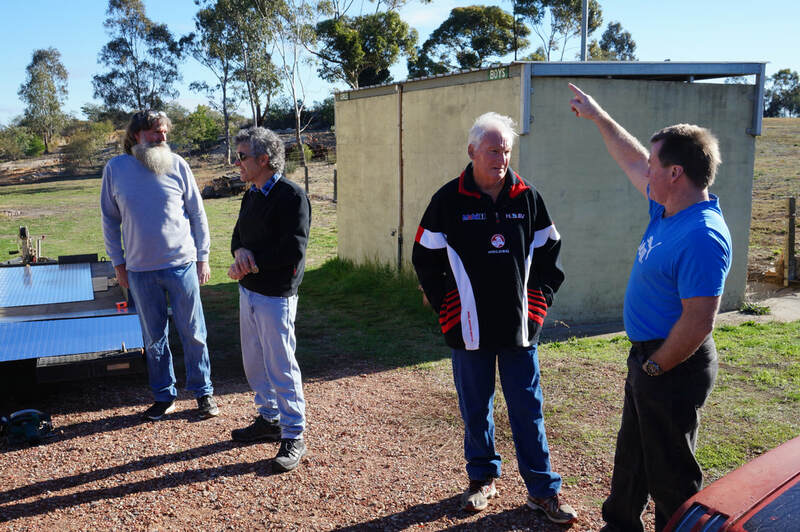 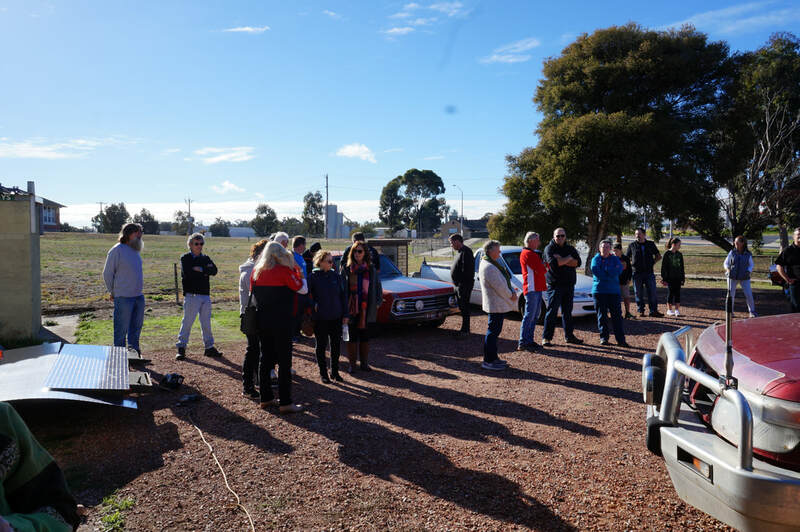 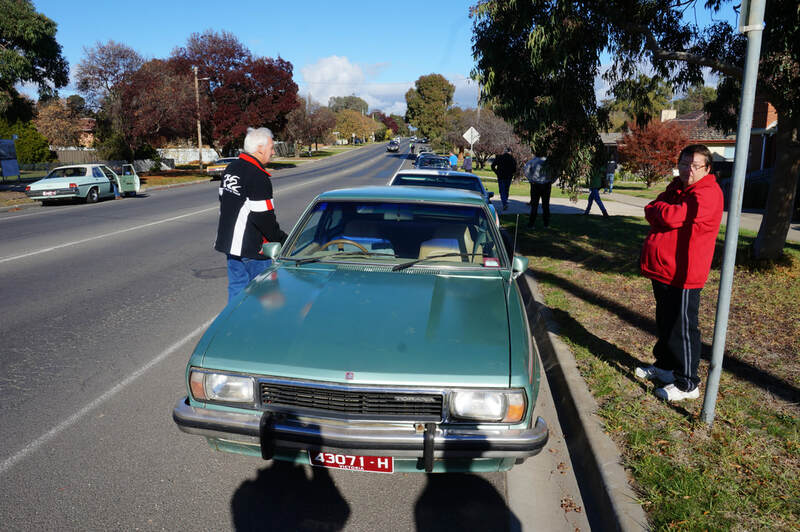 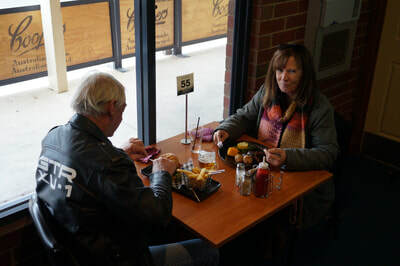 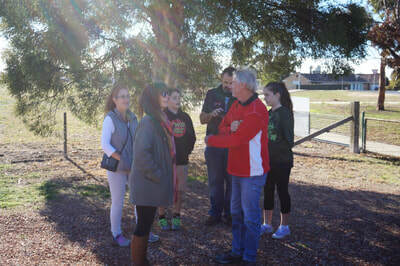 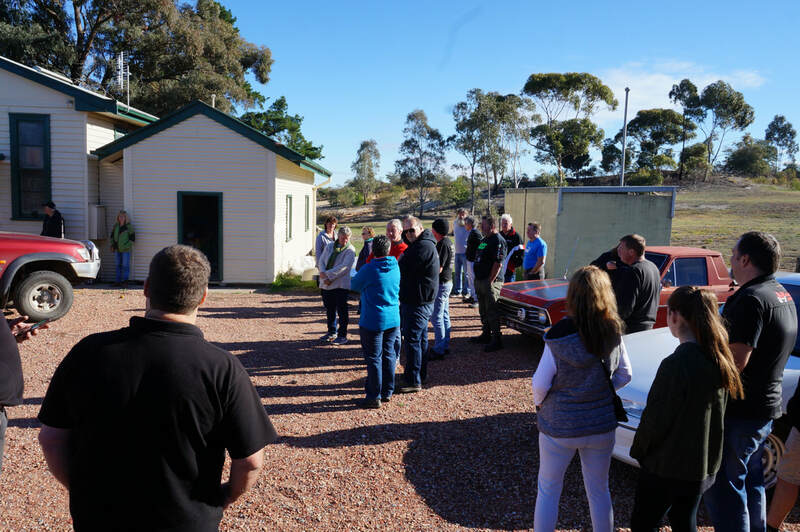 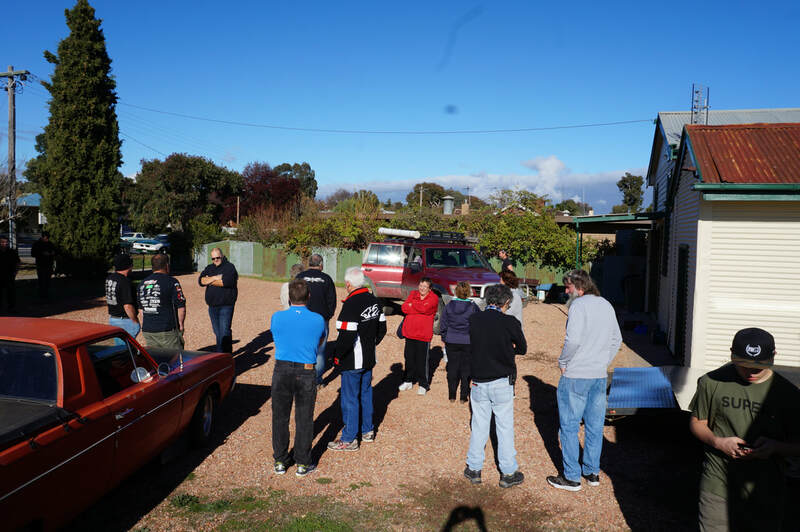 We left the Clubhouse at 10am and headed out south through Bendigo, then along the Sutton Grange road to Metcalfe. A peaceful cruise through the countryside - nearly everyone had brought their Holdens - so had I - and it was quiet and smooth. 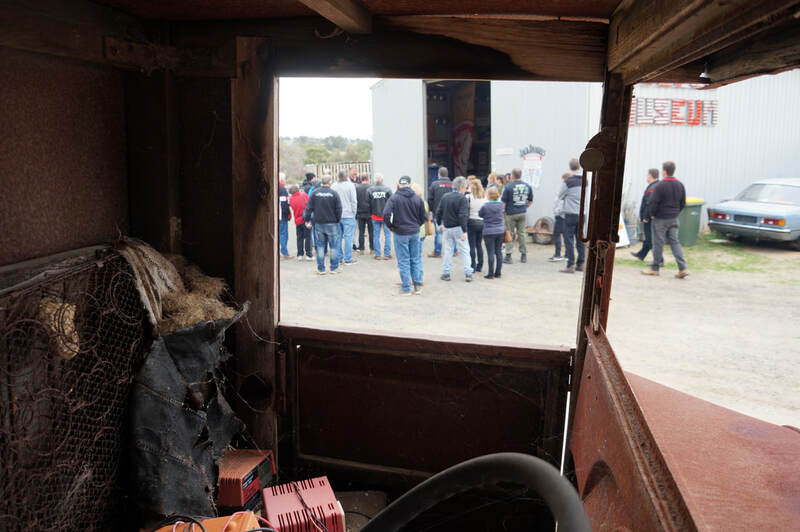 On our last trip to Metcalfe for the Tractor Pull/Woodchop, we had noticed there was a big shed in a paddock, with rusty old Holdens laying around on the grass. We'd decided then that we should come back for a look and today we had. 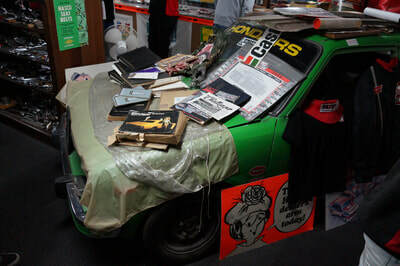 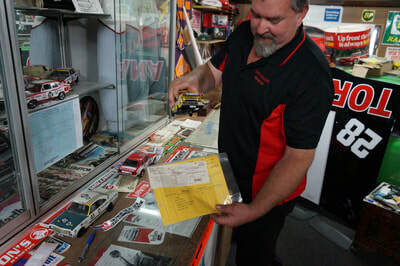 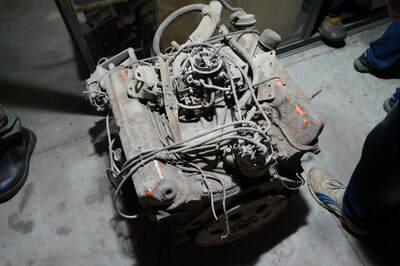 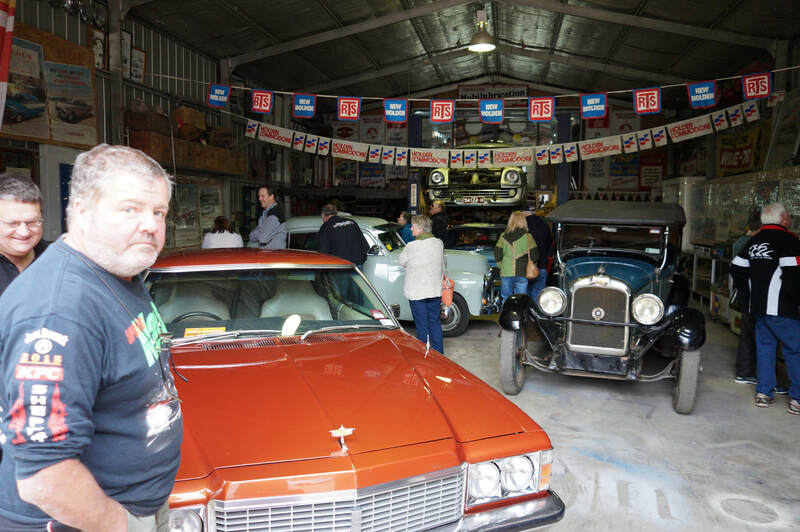 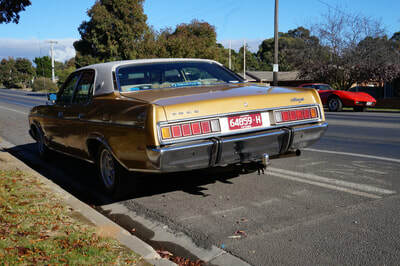 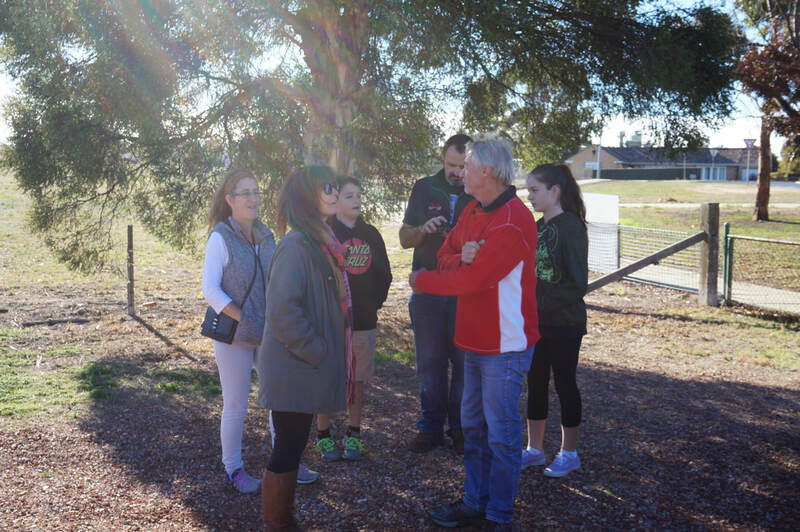 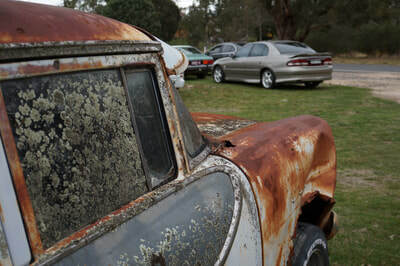 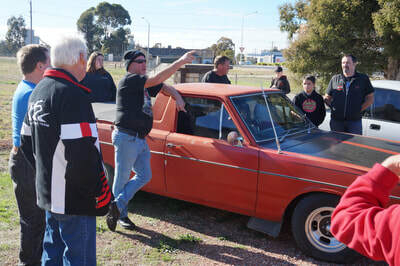 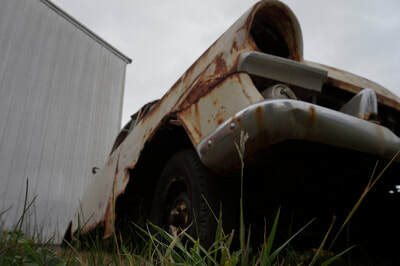 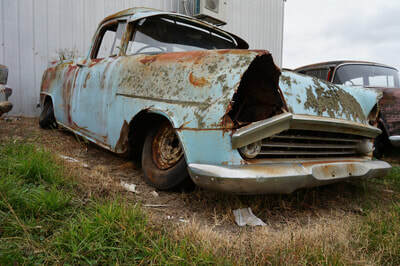 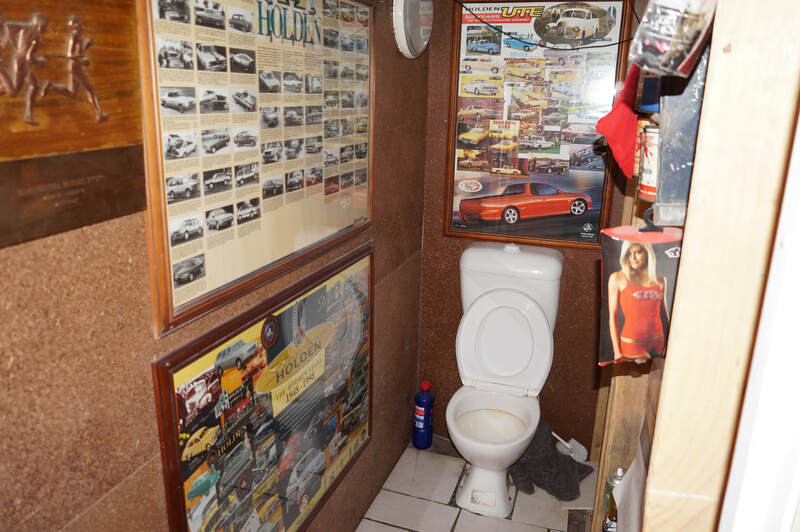 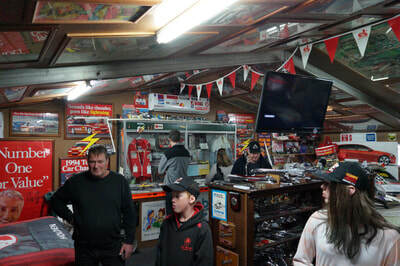 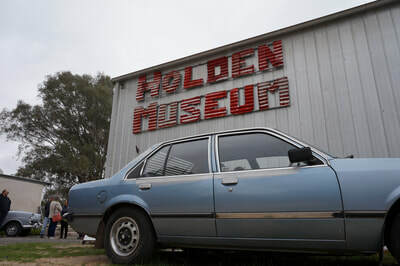 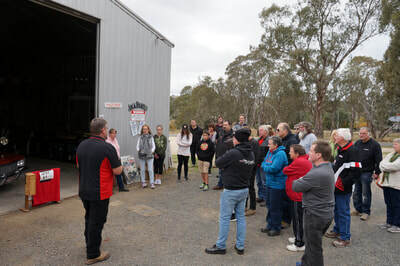 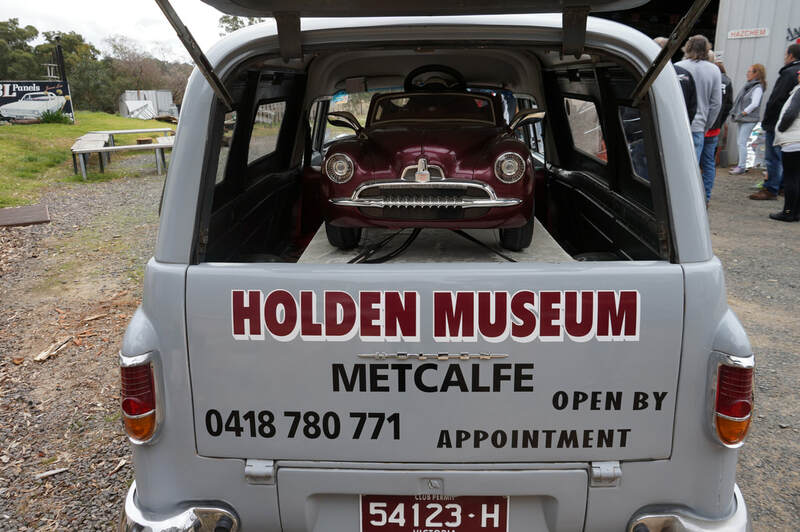 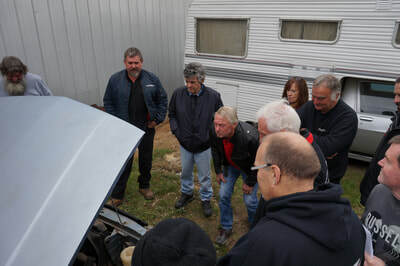 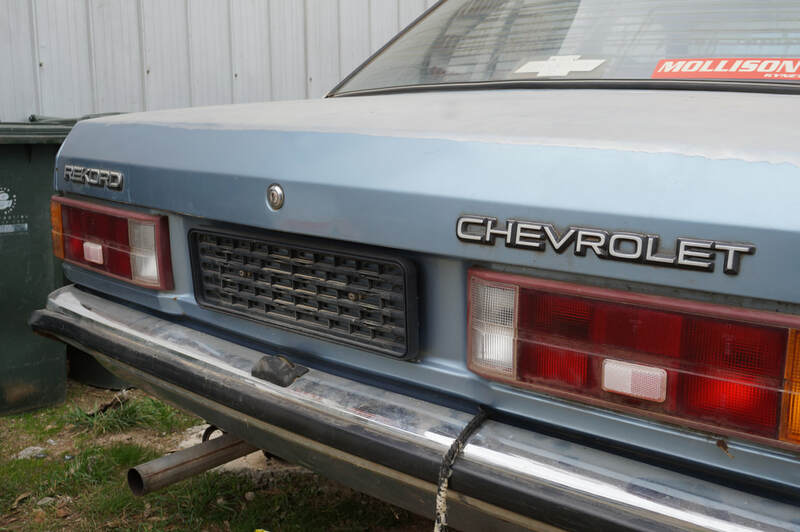 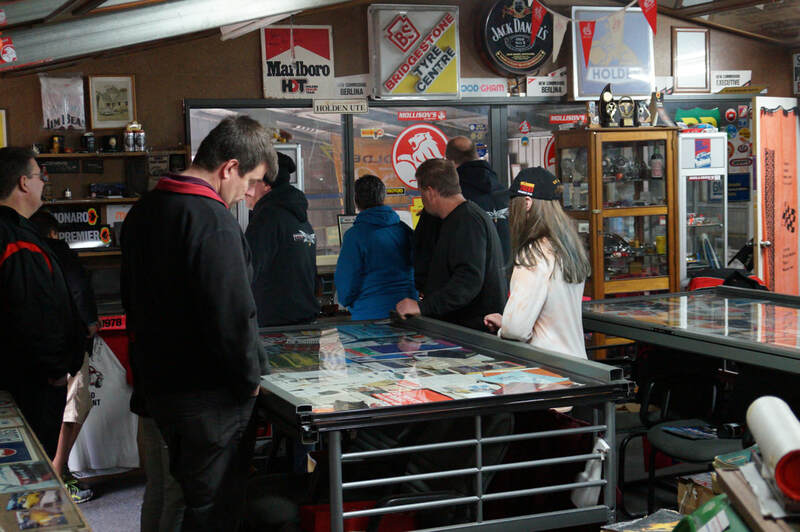 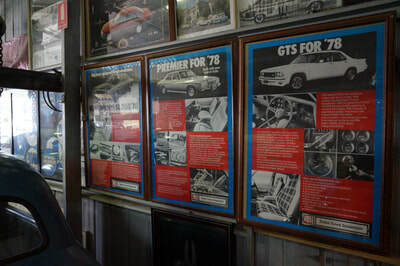 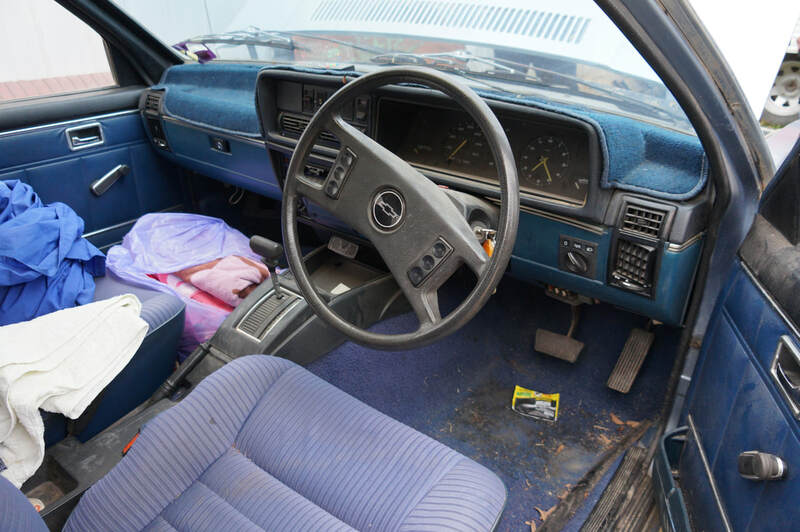 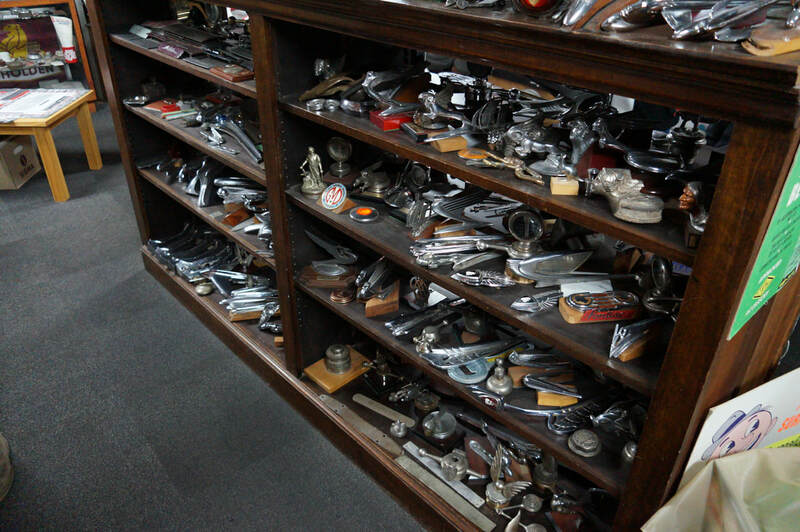 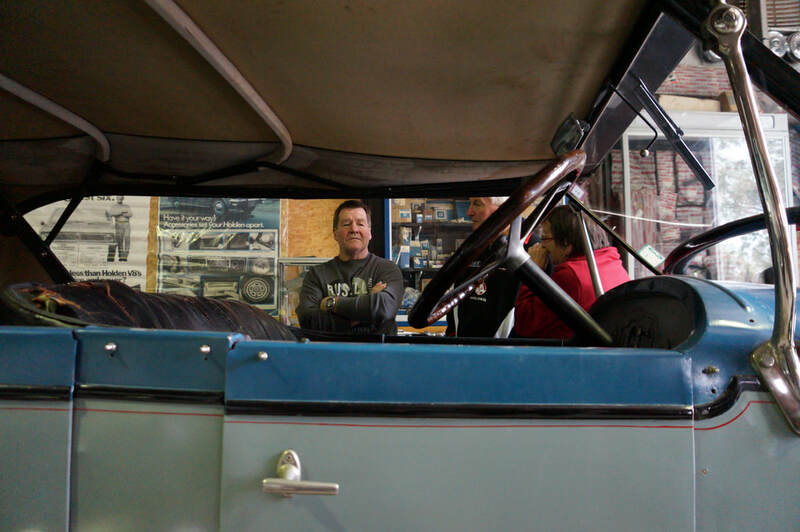 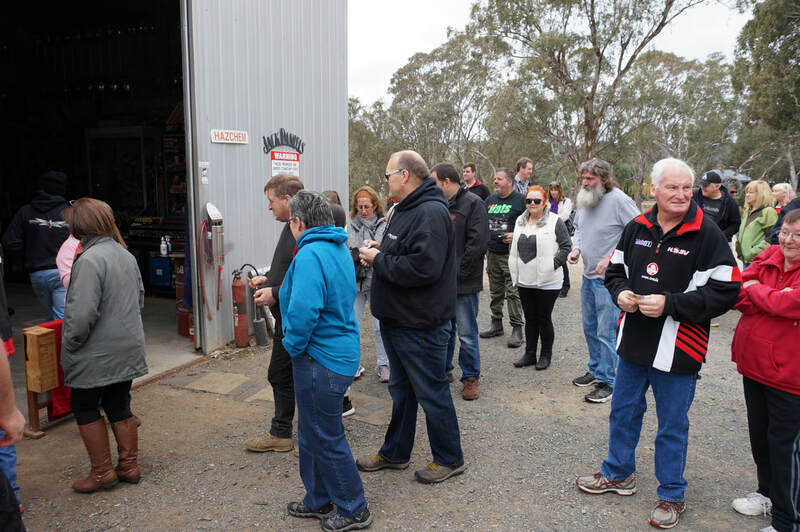 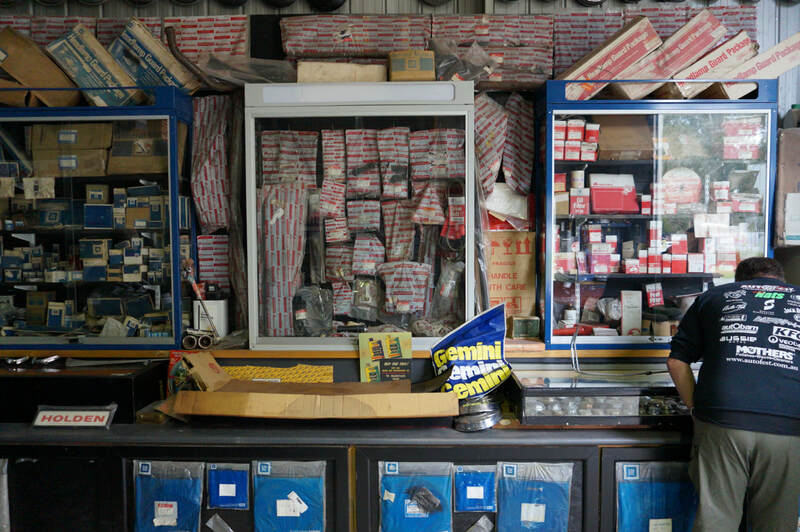 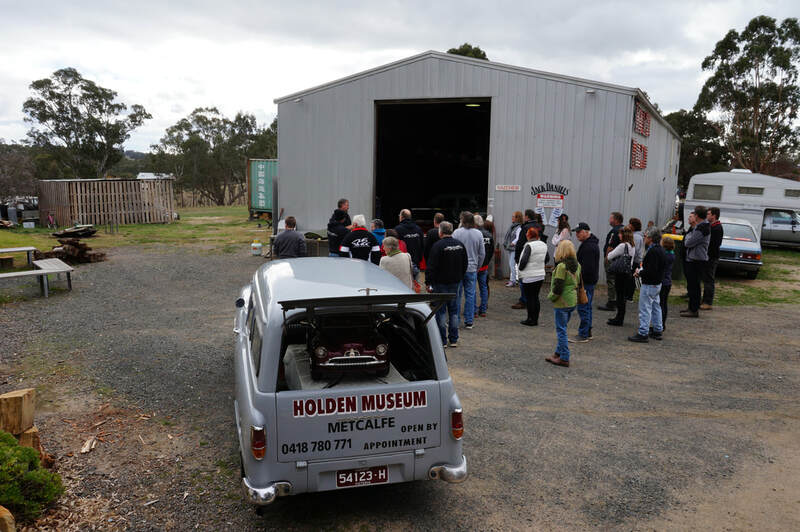 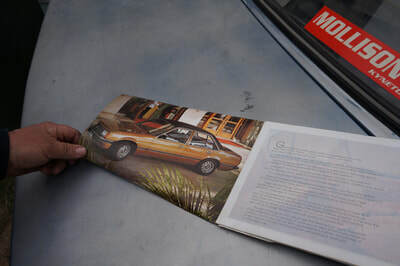 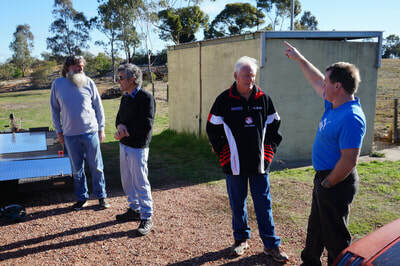 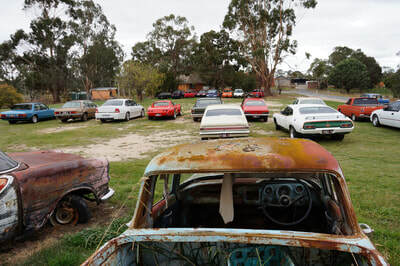 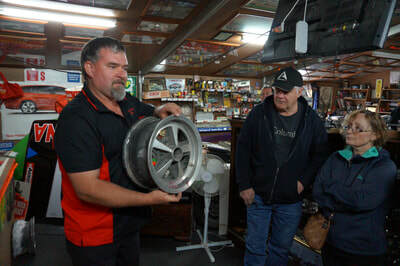 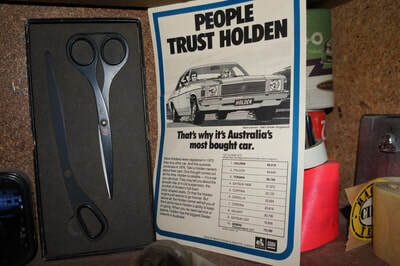 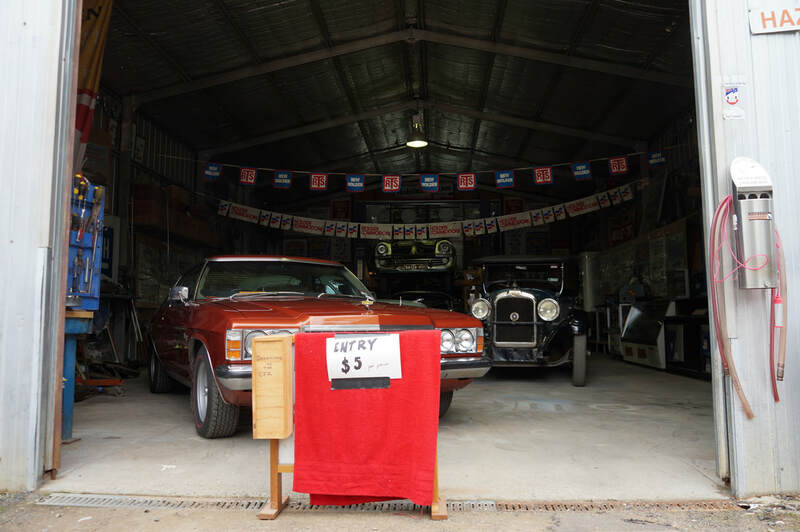 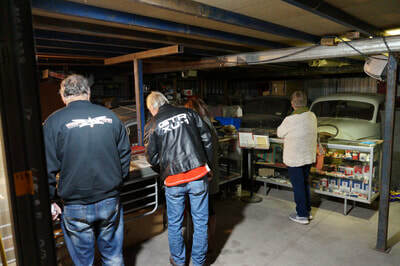 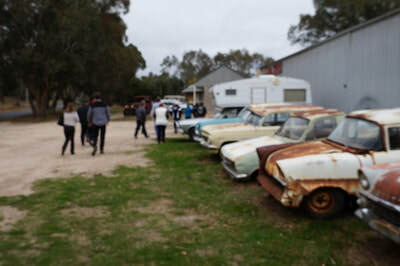 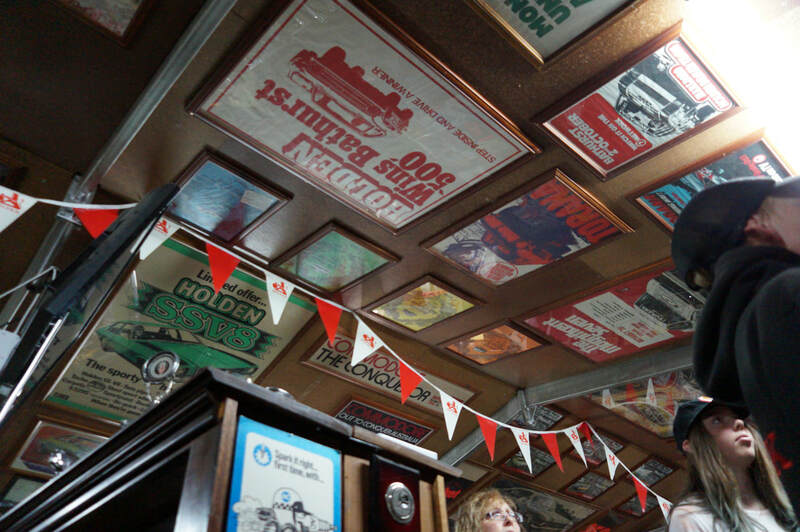 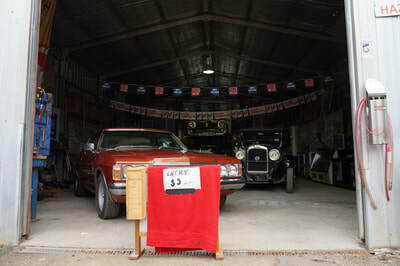 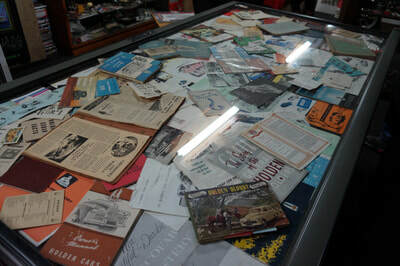 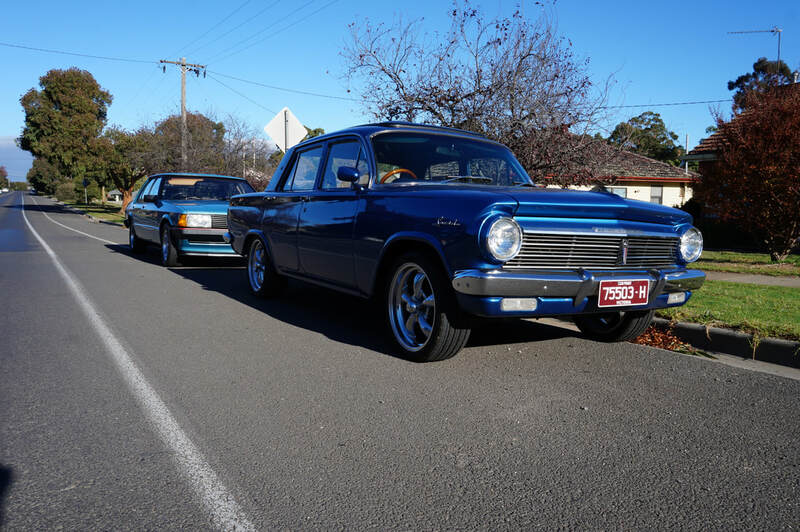 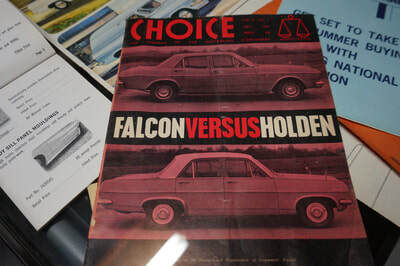 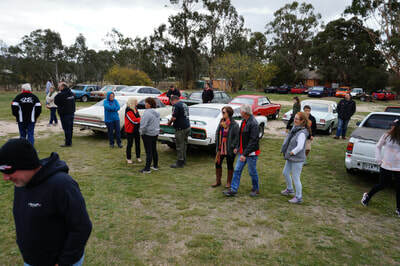 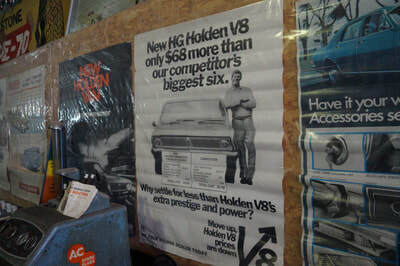 See the link here for a story in the Sydney Morning Herald from 2008 titled "End of the Road" - a fascinating report on Mollison Motors Kyneton. 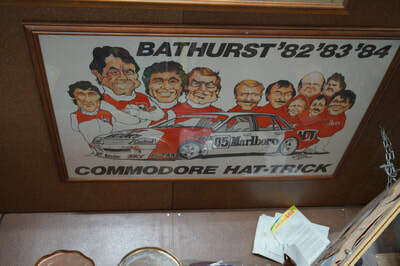 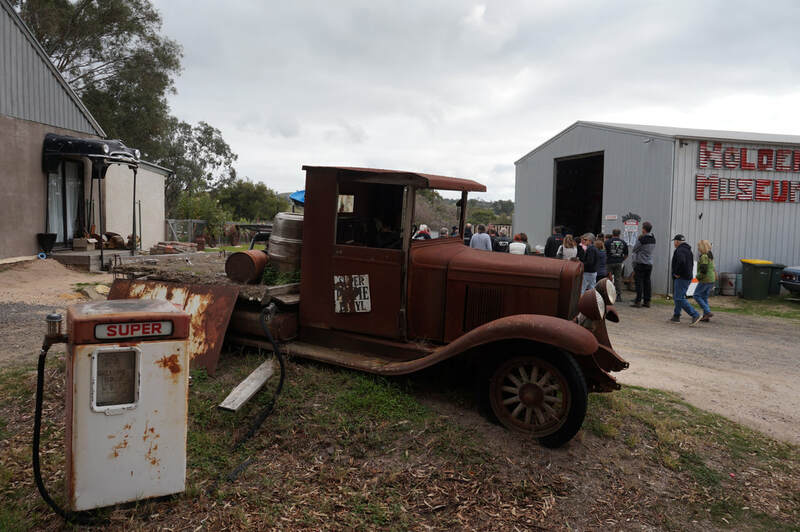 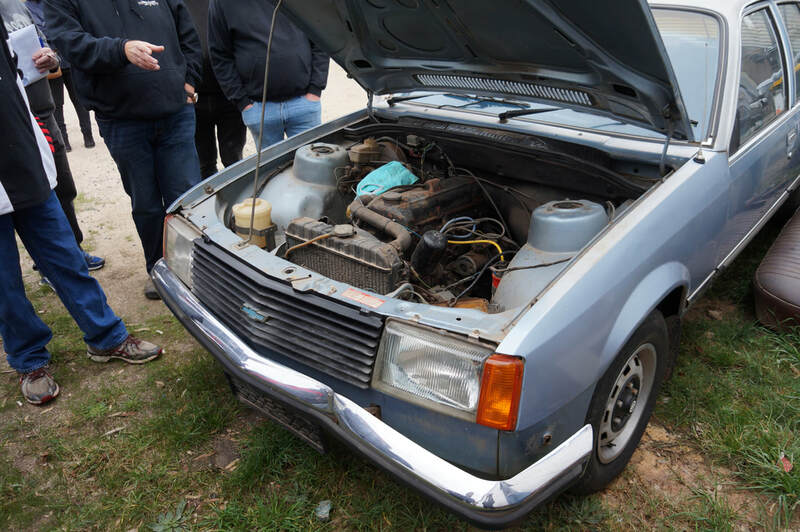 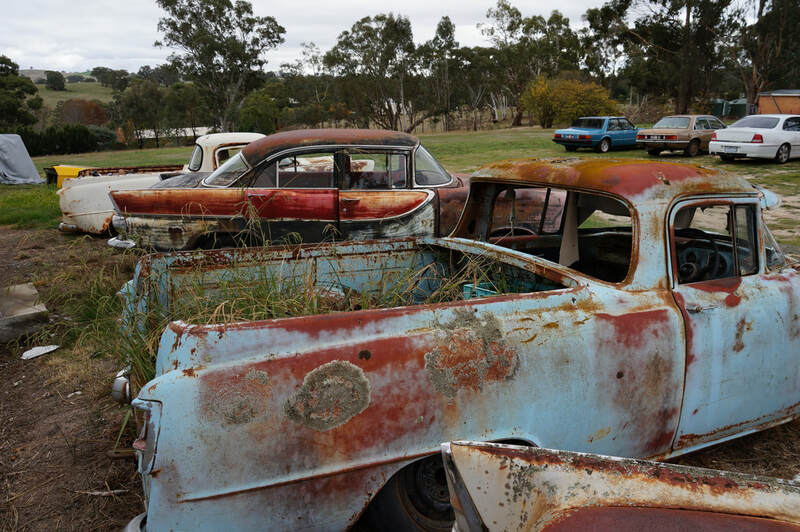 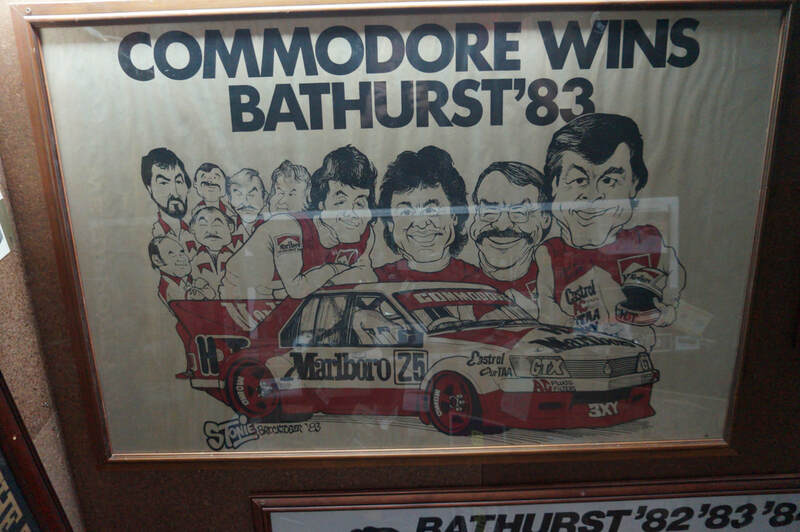 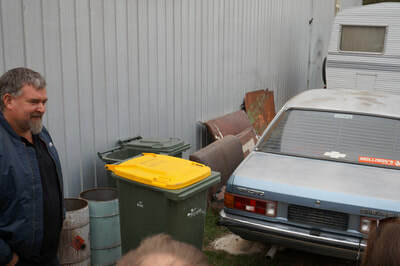 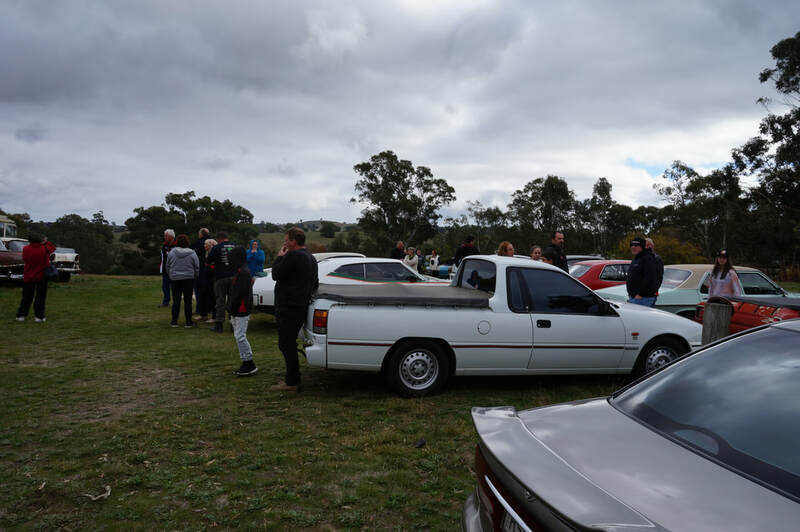 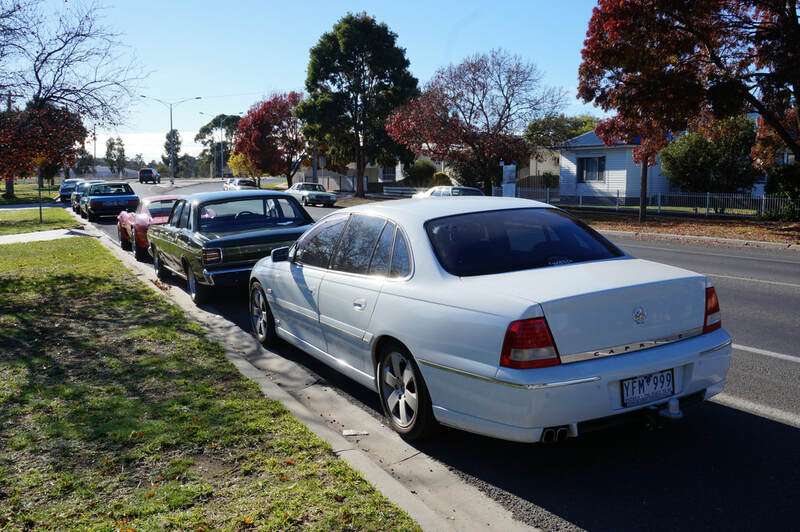 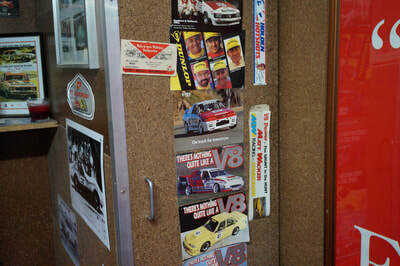 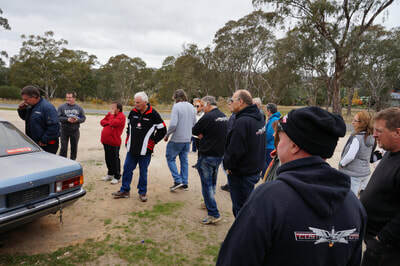 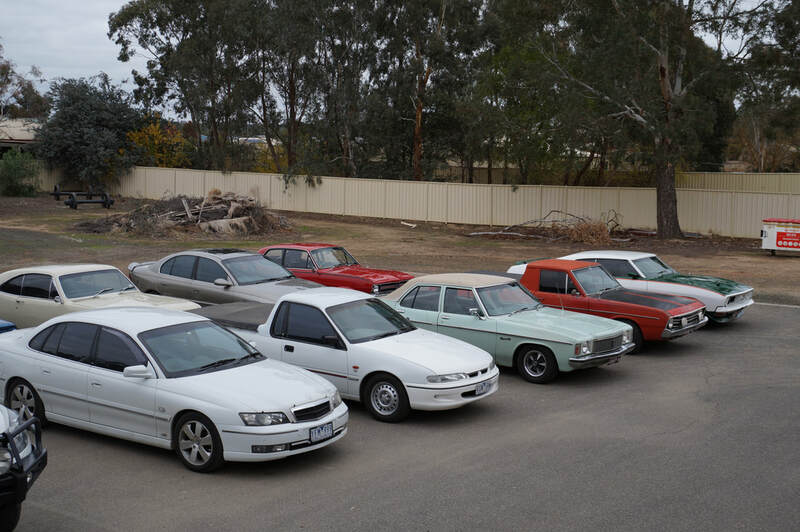 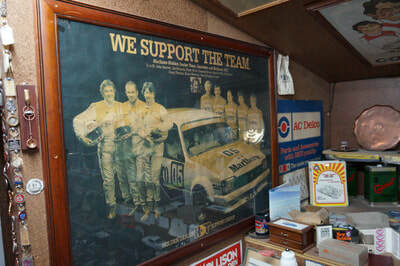 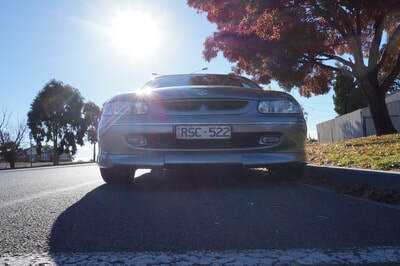 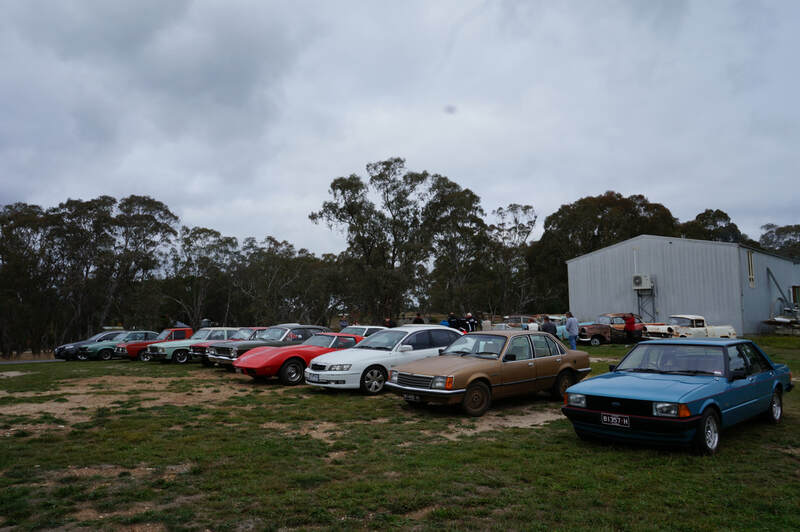 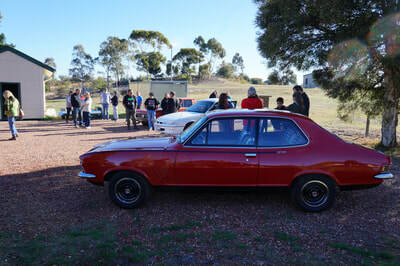 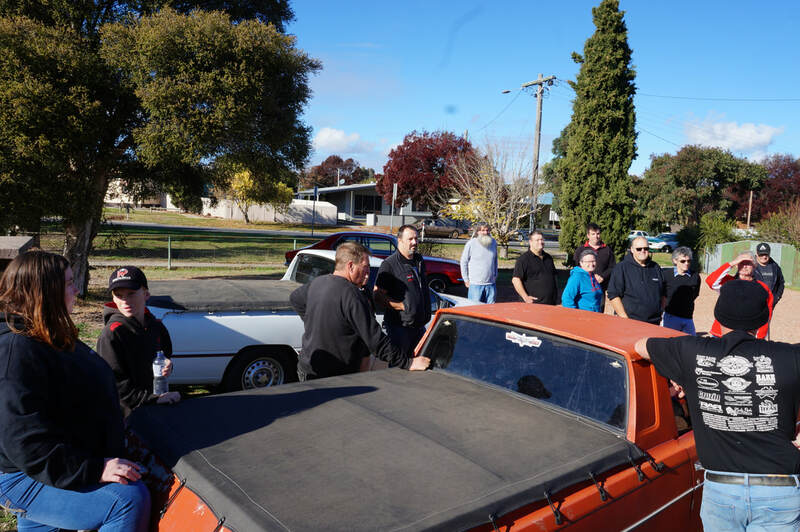 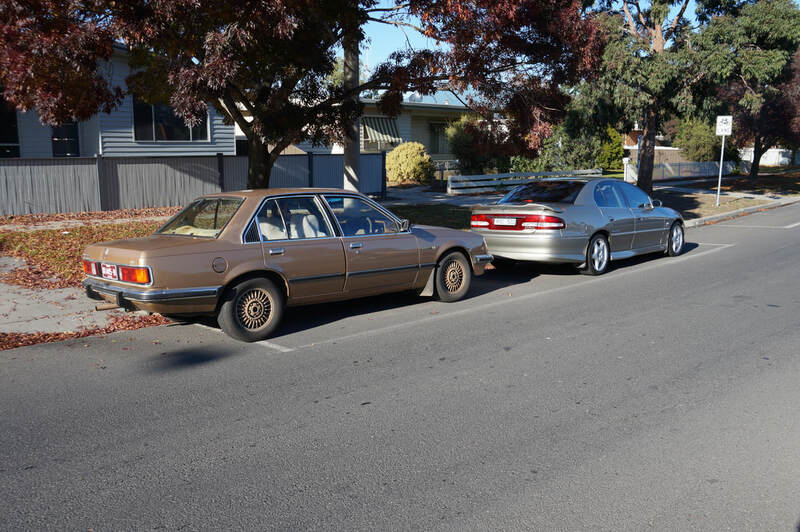 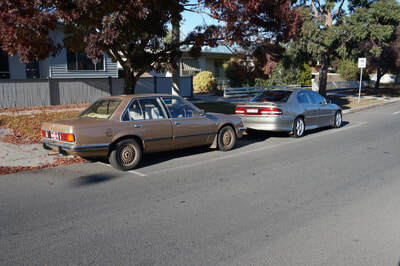 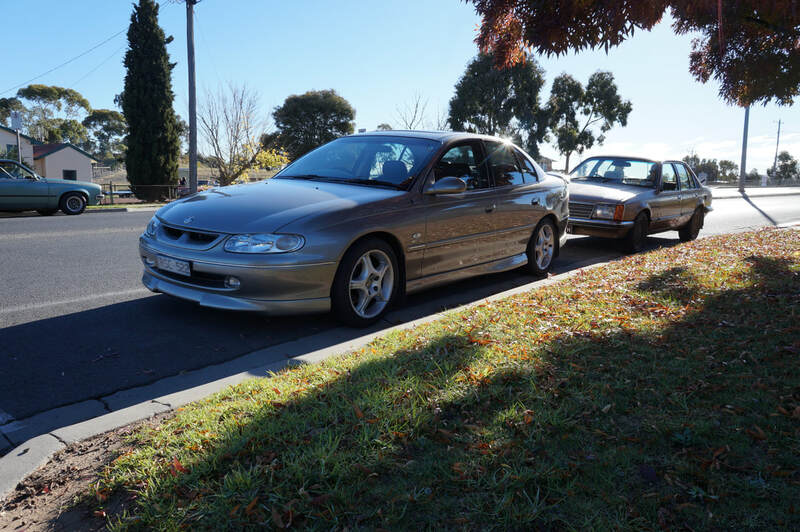 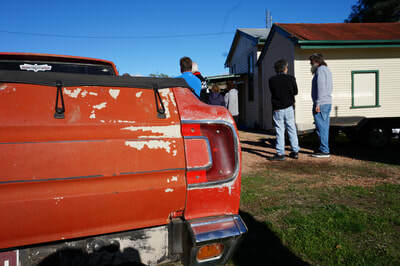 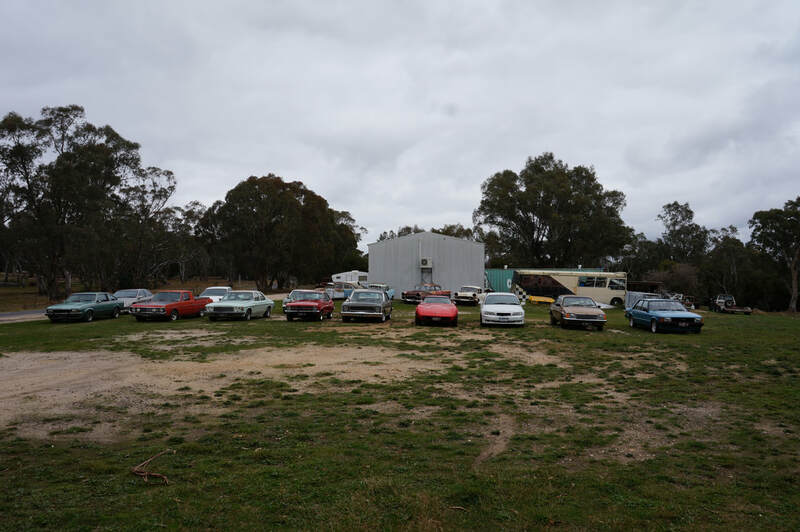 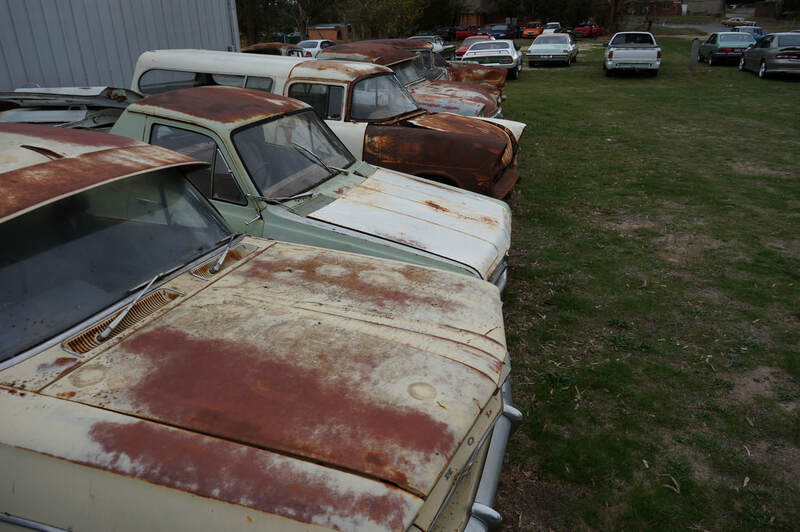 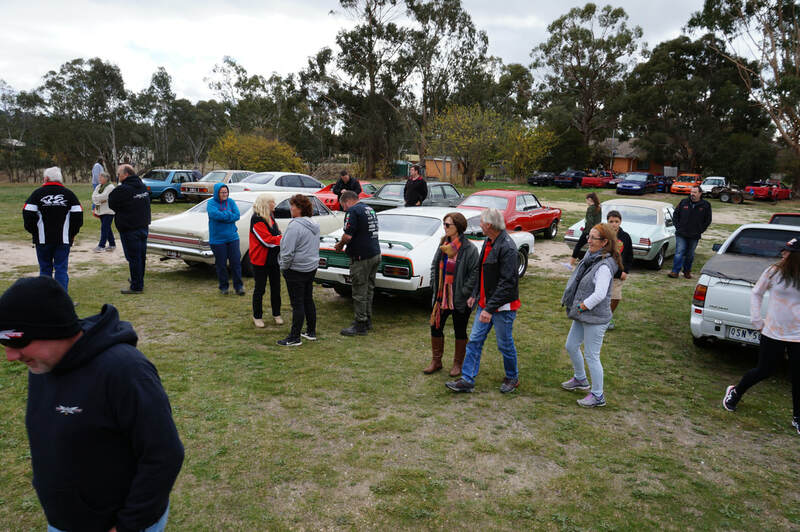 As the photos below show, there are plenty of reminders from the past here - from the old FB/EK sedans and utes slowly rusting away in the paddock surrounding the shed, to the pristine vehicles housed within. 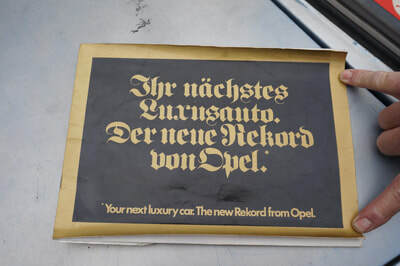 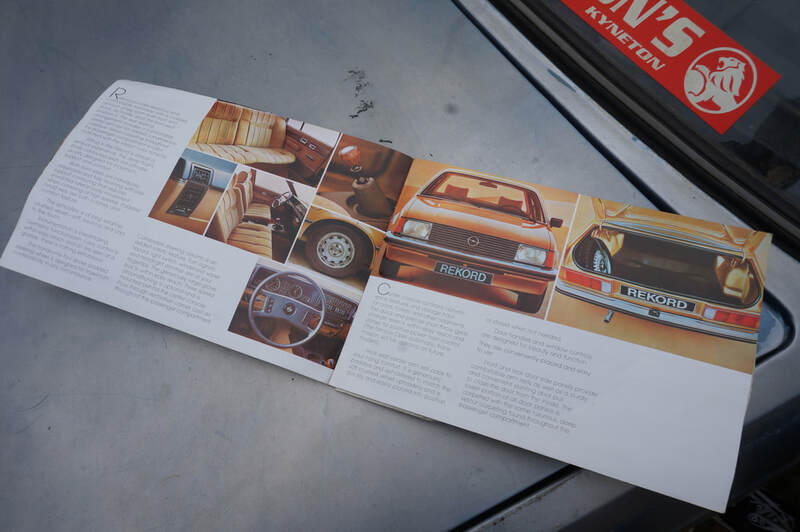 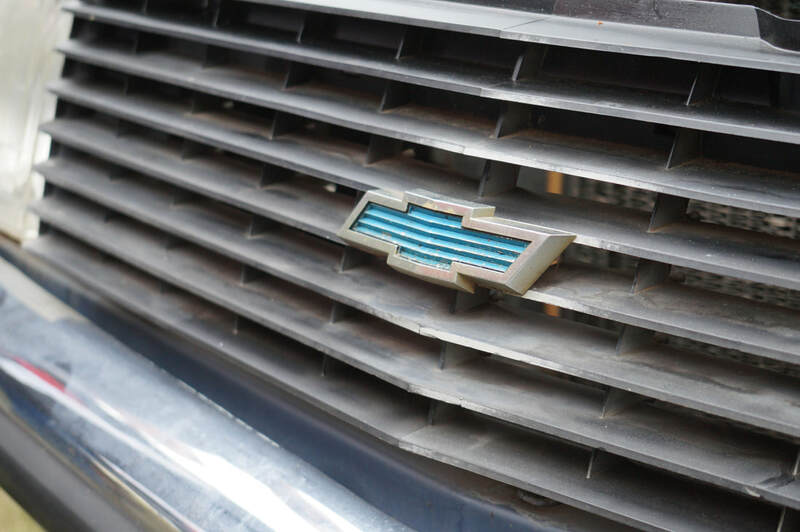 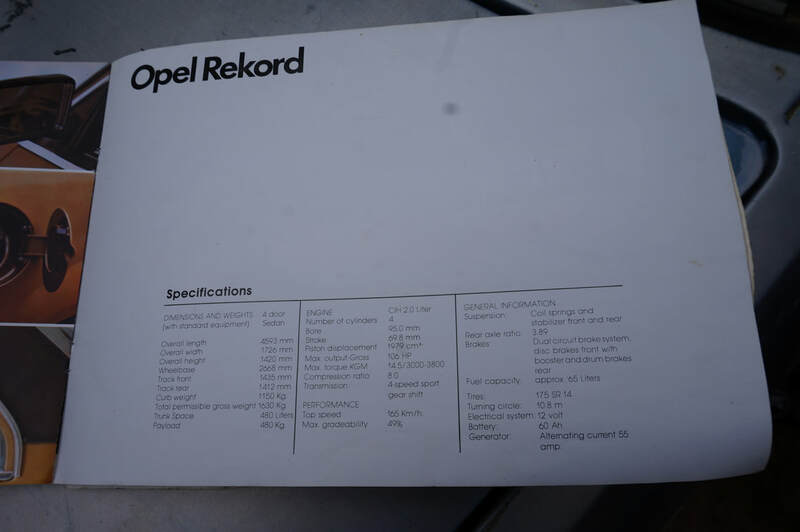 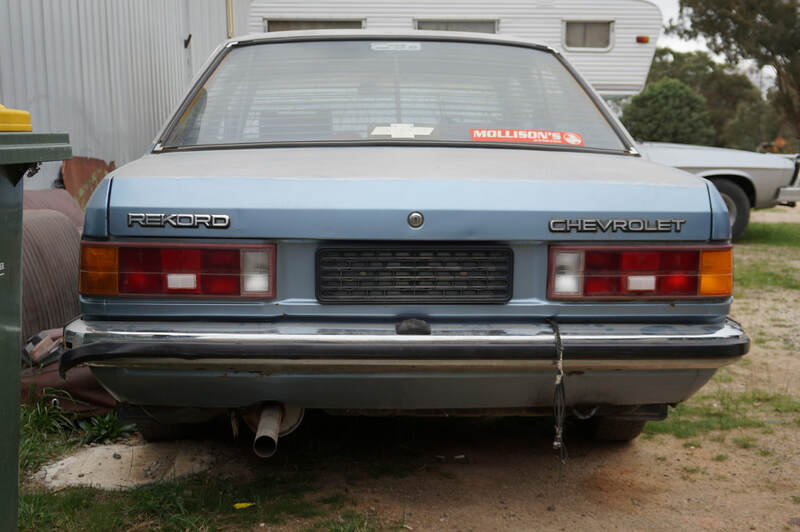 And who has ever heard of a Chevrolet Rekord? 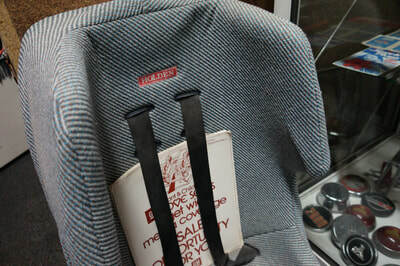 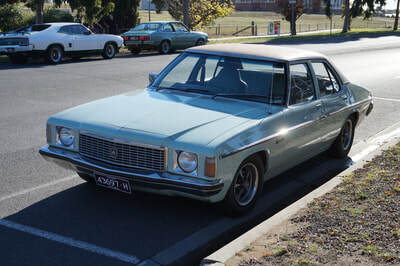 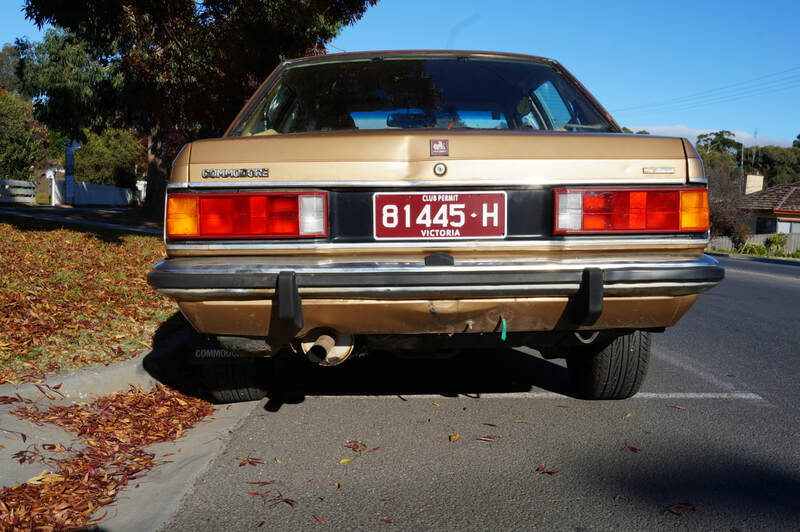 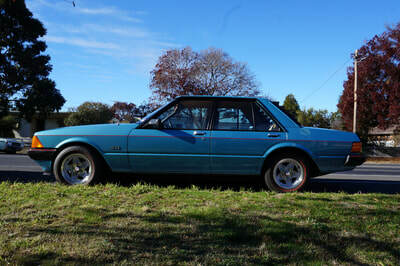 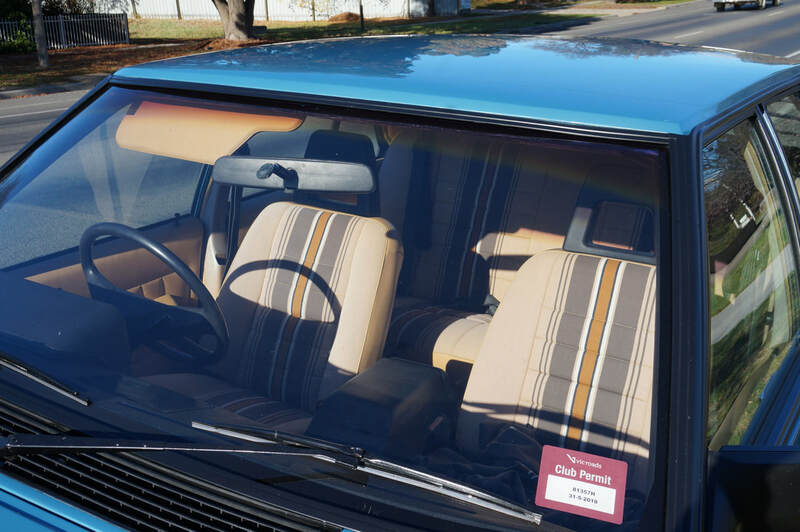 A VB/VC model Commodore that began life in South Africa and is now part of the Lee collection. 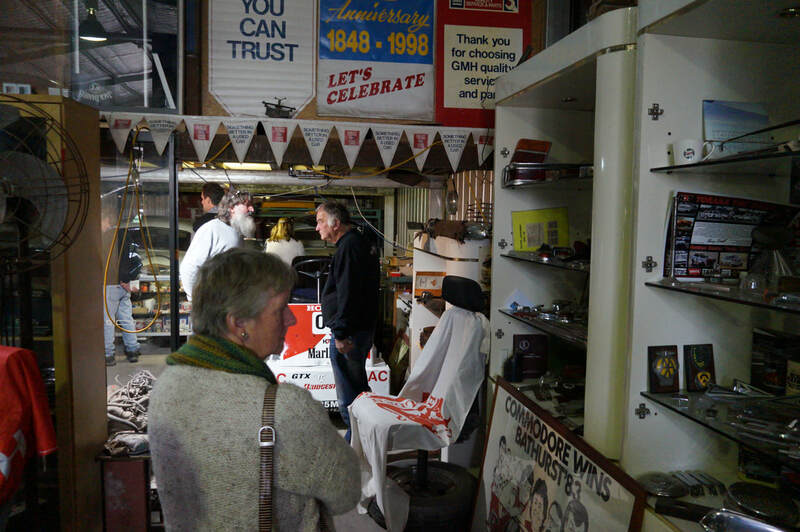 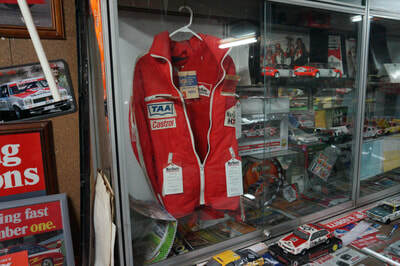 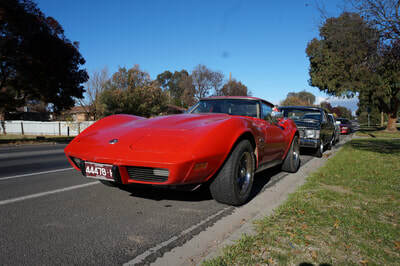 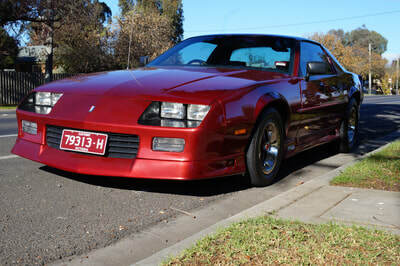 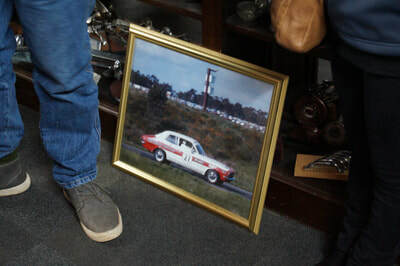 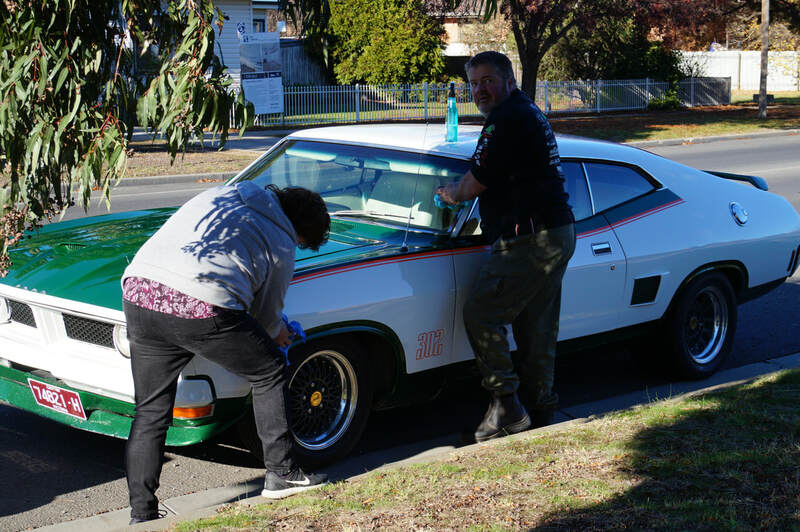 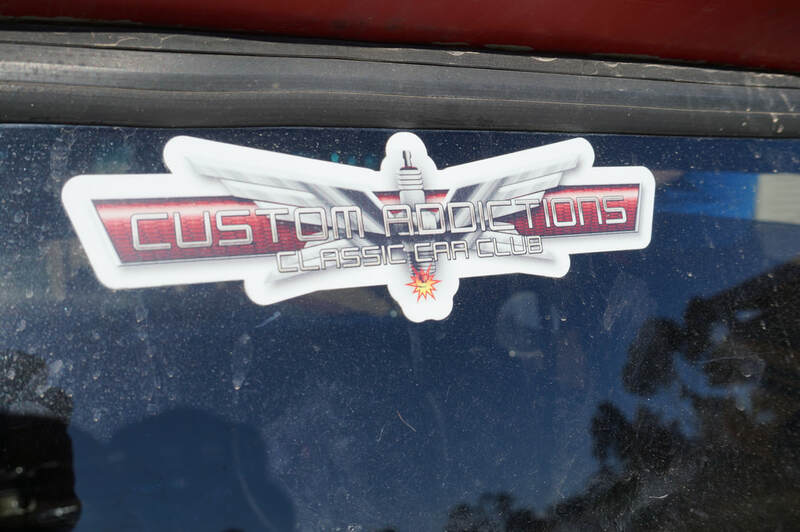 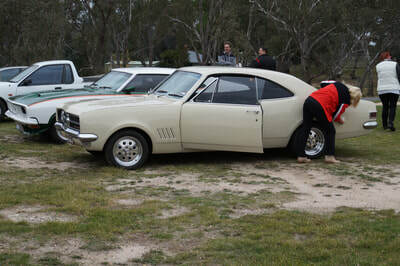 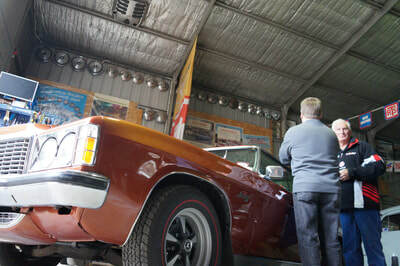 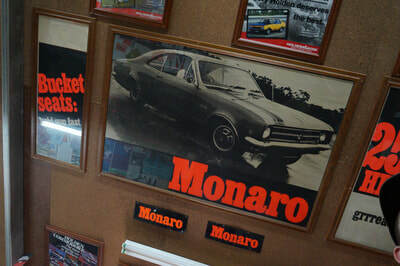 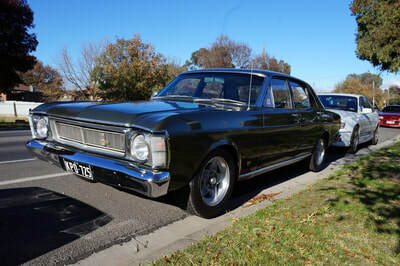 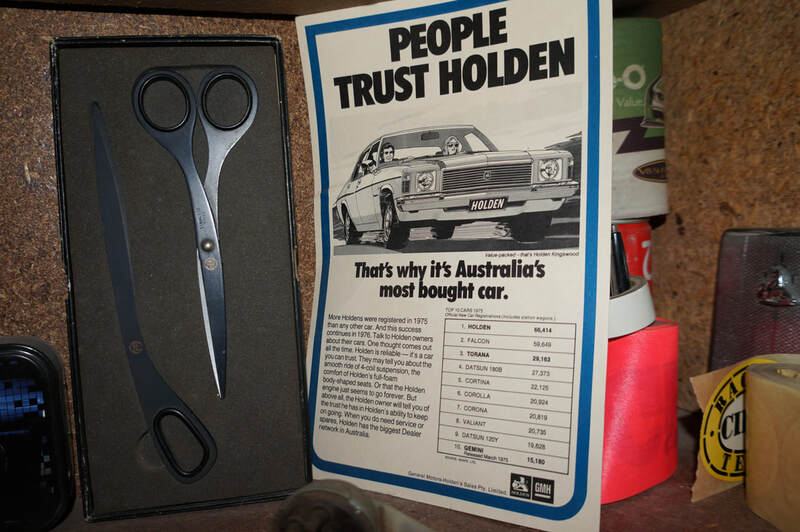 Lee and Cathy, you guys should be extremely proud to have been able to preserve so much valuable history from Australia's motoring heritage. Well done, this is certainly a credit to you both. And so, apart from a missed left turn in Redesdale where some of us blindly followed the one in front that obviously had no idea -and then had to drive over the freshly watered muddy road twice - it had been a pretty good day. 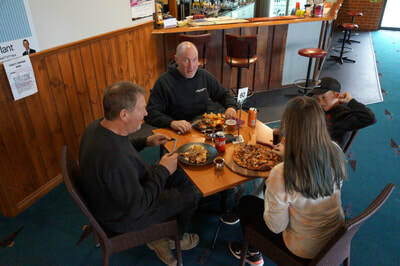 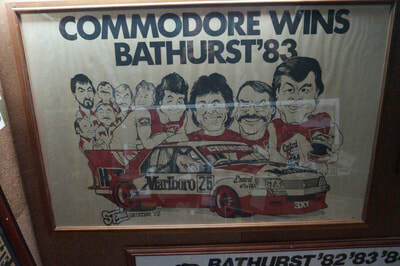 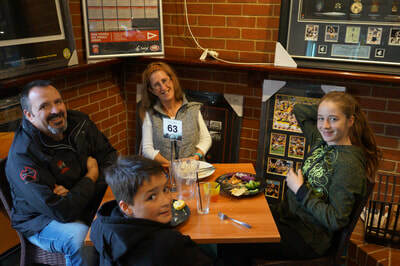 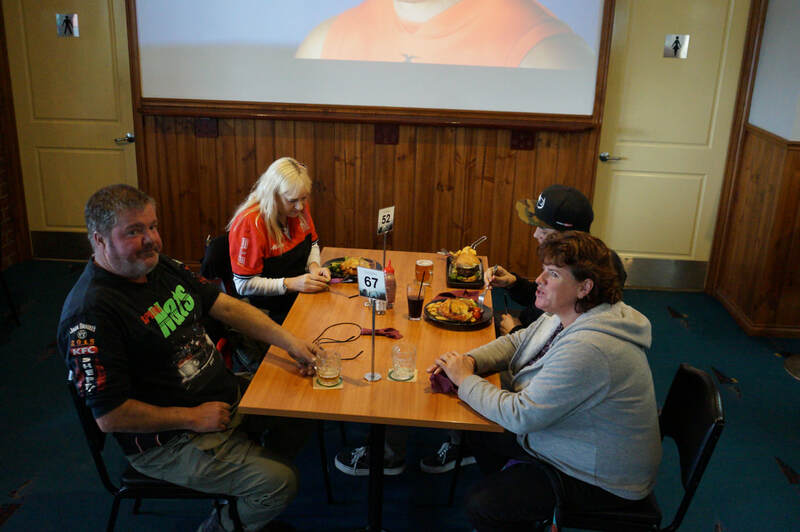 Back at Braidies Tavern we downed a couple of beers, ordered a parma and kicked back. 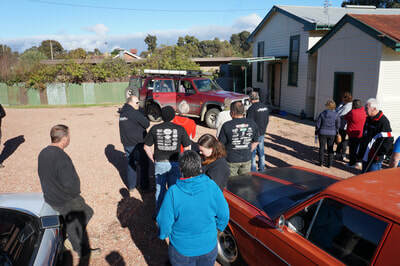 A really good run, thanks again Events Guys.